There were two interesting games in the Euro Cup semi-finals on Wednesday. Marseille took a big step towards the final, while Jadran Herceg Novi got a slim lead before the second leg against OSC. The visiting Hungarians started on fire as they went up 3-0 in the first quarter, but Jadran produced a 6-2 run to take the lead. The sides went into the big break with a 6-6 tie. 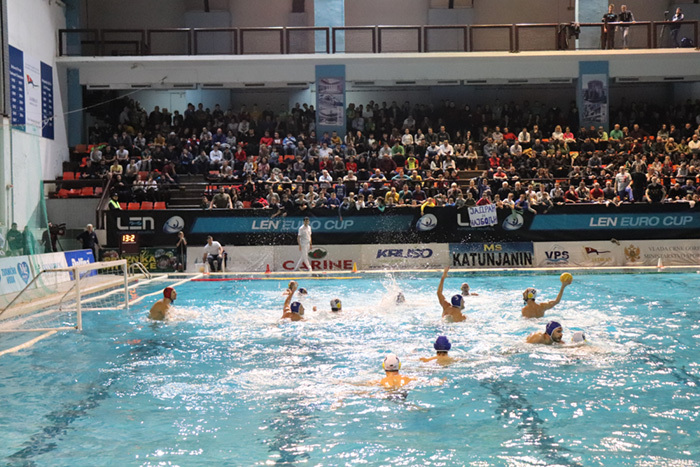 OSC had their last lead at 6-7, as the Montenegrins quickly turned it around and went up 9-7. They had a two-goal lead in the last minute of the game, but Salamon found the back of the net with 25 seconds remaining to make it 11-10. The second leg of this game will be a huge one and the Hungarian team will have to erase the deficit at home. Both teams are trying to advance to the final for the first time in their history and Marseille took a big step towards that. The visitor Italians started better as they went up 3-1 early, but the French team shut them down for 13 minutes and produced a 4-0 run to go up by two. Ortigia only scored once more in the game and Marseille ultimately won by three, so they can wait for the second leg with a confident lead. Bogdan Djurdjic was amazing, he scored a whopping six goals for Marseille. The second leg will be played on February 27th.